Jay Sawyer dropping the F Bomb. The Wandering I and F Bomb will be on display at the Emery Community Arts Center in Farmington until Nov. 3. 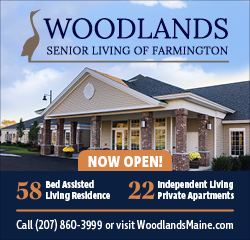 FARMINGTON - For Jay “JBone” Sawyer, becoming an artist is a recent change in lifestyle. The sculptor, who works with scrap metal salvaged from all over Maine, creates “raw art”- bringing stories and life back to material that has been forgotten or tossed aside. The wide array of reclaimed objects that Sawyer finds pushes his work to “do big,” both physically and thoughtfully. As a teenager growing up in Warren, Sawyer spent many days hanging out at the old water-powered mill with friends. Sawyer describes it as a place where “lots of things happened”- a spot to remember as the years have ticked by. 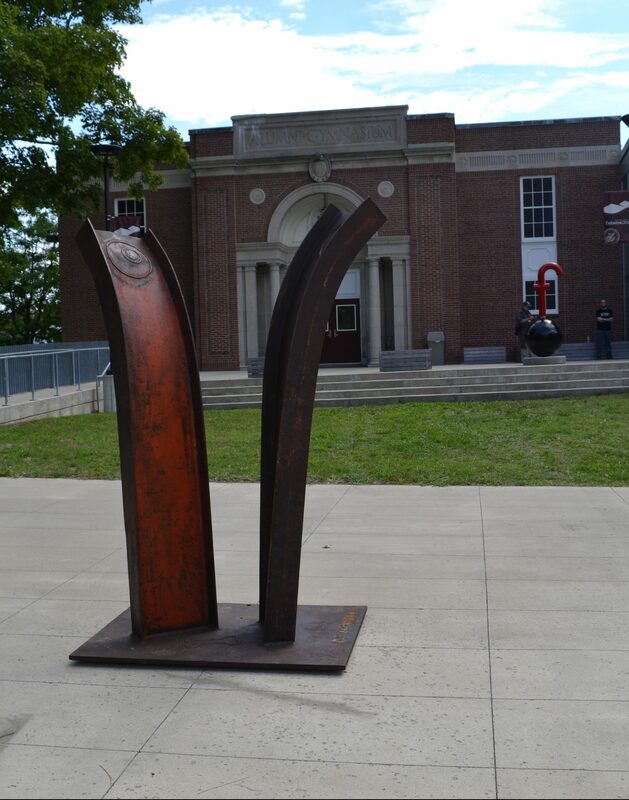 Metal from the abandoned mill was what initially inspired Sawyer to create the exhibit currently being hosted by the Emery Community Arts Center at the University of Maine at Farmington. The exhibit- “Sculpture Soup” - is a collection of letters from the alphabet, all with a hidden message. 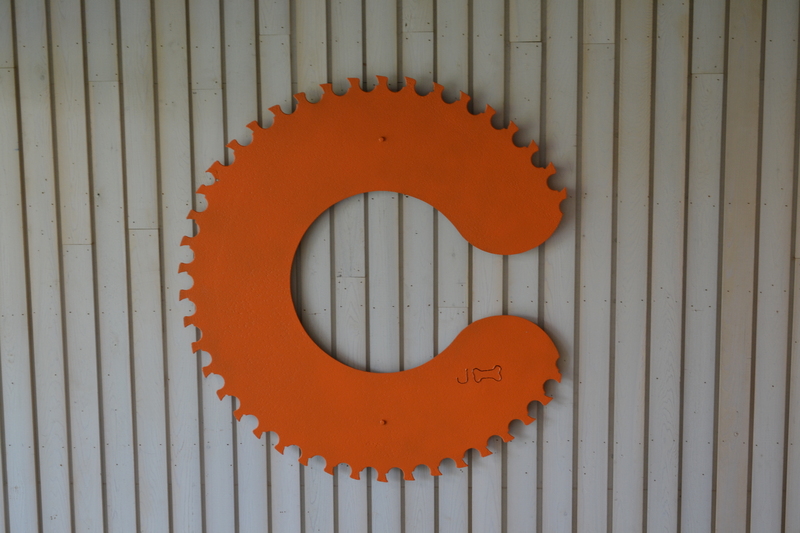 The first letter Sawyer created, using scrap metal from the old mill, was a lowercase ‘e’ titled “Iron e”. Six months later at the encouragement from friends, Sawyer completed the rest of the vowels and began the challenge of accomplishing the entire alphabet. 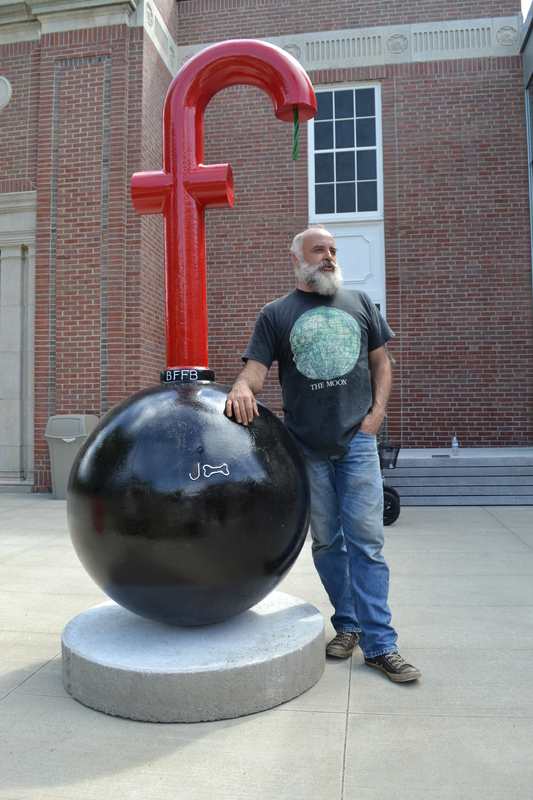 J Bone Sawyer stands with the F-Bomb sculpture. 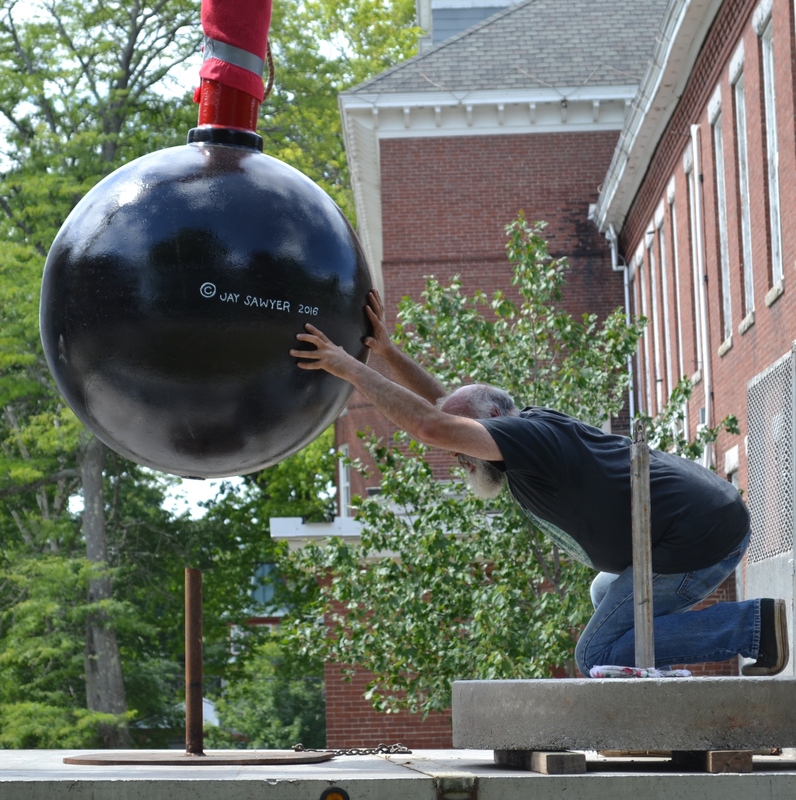 “It’s an honor to have my art here at UMF,” Sawyer says at the installation of his two extra large sculptures- the “F Bomb” and “Wandering I”. “There’s a lot of educational opportunity in the exhibit. It can be a real instructional vehicle for exploring the weird and quirky things about the English language.” Sawyer explains. The exhibit debuts on Aug. 29 with a reception on Sept. 9 from 5 p.m. to 7 p.m.
With the Sawyer family history that goes back to England, Jay it's in your blood.